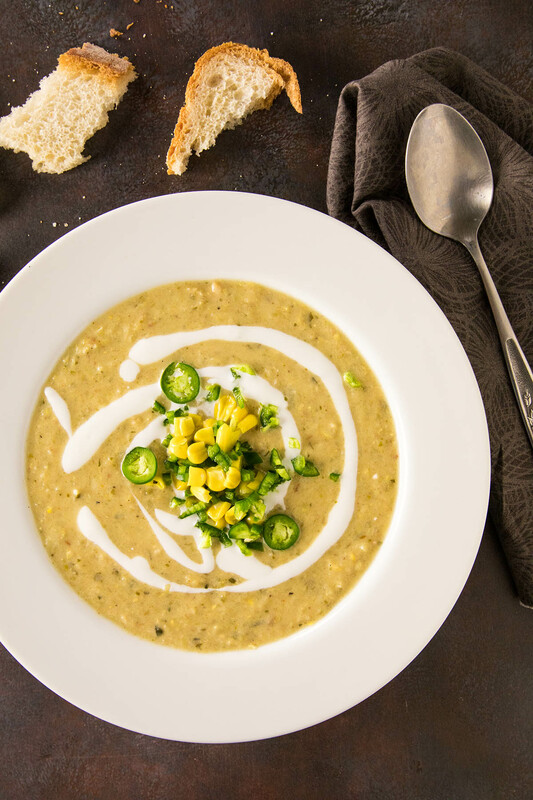 A recipe for creamy corn chowder made with golden sweet corn, a variety of garden fresh sweet peppers, and plenty of seasonings. This is summertime in a bowl. Summer is drawing to a close, but I was still able to get my hands on several ears of sweet corn at the local grocer. Yes! I love sweet corn and by the time summer ends, I typically tend to realize I hadn’t eaten enough sweet corn while it was available. Not now! I am getting my sweet corn fix by transforming those awesome golden kernels into a creamy chowder, and I’m including a nice variety of sweet peppers that I picked straight from our garden. I made an extra large batch of this chowder so we can freeze some and enjoy it when the weather turns colder. 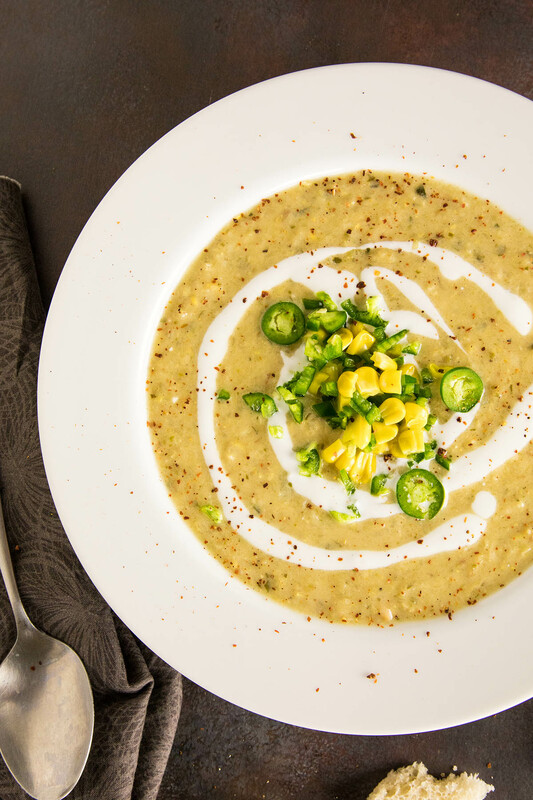 There is nothing like a summery corn chowder enriched with sweet peppers to bring back those warm summer nights. Making the soup is a simple enough procedure. Let’s break it down. First, melt down the butter in a large pot over medium heat and add the bacon. Cook it down about 10 minutes, or until the bacon begins to crisp up. Toss in the peppers and onion and give it a nice stir. Cook the batch another 7-8 minutes or so to soften them up. Next, add the corn and garlic and cook for 3 or so minutes, until the corn begins to turn an appealing golden color. Reserve some of the cooked corn kernels for garnish, if you’d like. I like the way the corn kernels look spooned over the top of the serving bowl. Yum! Add the flour to the pot and stir it in. Cook it down for another minute. Then, slowly stir in the water or chicken broth and bring the mix to a quick boil. Reduce the heat to a simmer and add your chopped potatoes, chili flakes and basil. Taste it for salt and pepper and add those in to your preference. Simmer the whole pot about 20 minutes to let the flavors develop. The chowder will thicken up for you. Remove from heat and cool it down a bit. Stir in the yogurt and make sure it is completely incorporated. Finally, serve into bowls and top with chopped cilantro, reserved corn kernels and chili peppers. I hope you enjoy it! This is one of my very favorite summer soups. Great stuff! Let me know how it turns out for you. Melt the butter in a large pot over medium heat and add bacon. Cook about 10 minutes, or until the bacon begins to crisp up. Add peppers and onion and stir. Cook another 7-8 minutes to soften. Add corn and garlic and cook 3 or so minutes, until the corn begins to turngolden. Reserve some of the cooked corn kernels for garnish, if desired. Add the flour and stir. Cook another minute. Slowly stir in the water and bring to a quick boil. Reduce heat to a simmer and add potatoes, chili flakes and basil. Season with salt and pepper to taste. Simmer about 20 minutes to let the flavors develop. Remove from heat and cool slightly. Stir in yogurt. 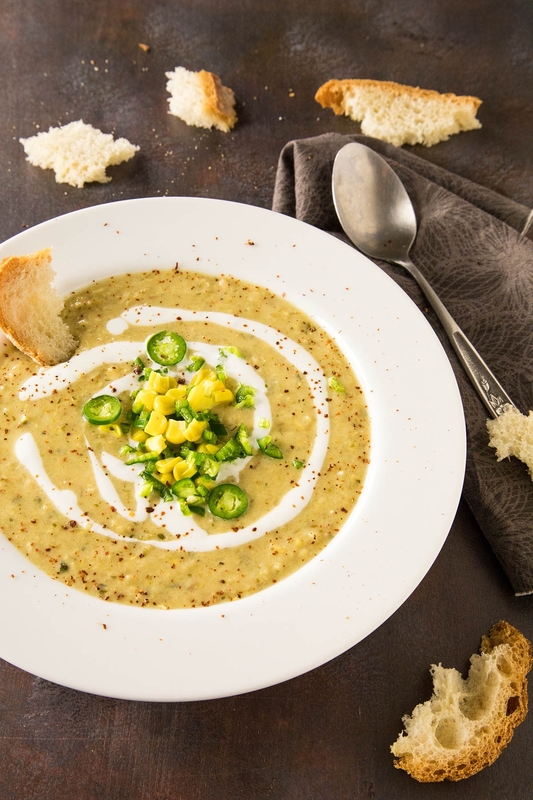 Serve into bowls and top with chopped cilantro, reserved corn kernels and chili peppers. Makes 6 good sized bowls.